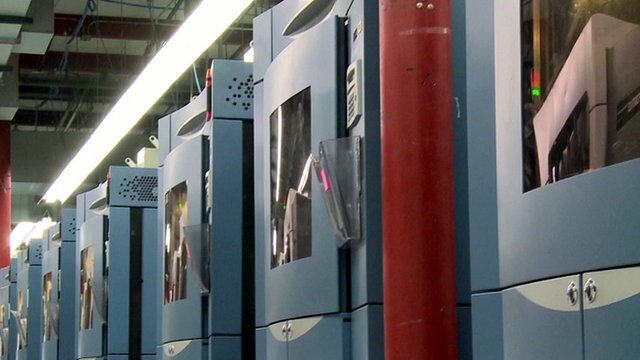 World's largest 3D printing factory Jump to media player Click's Jen Copestake visits the world's largest 3D printing factory in Eden Prairie, Minnesota. 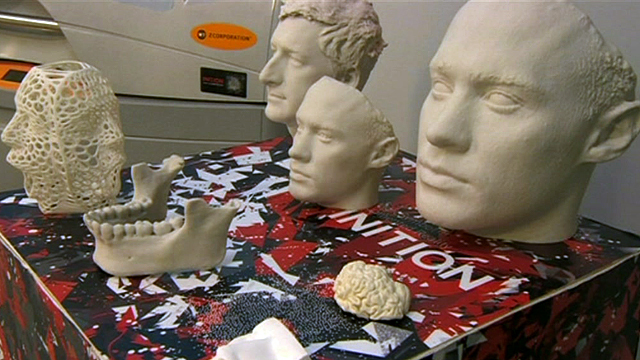 3D printing - a new industrial revolution? Jump to media player Rory Cellan-Jones investigates how an increasing affordability in 3D-printing technology could change the way items are manufactured. 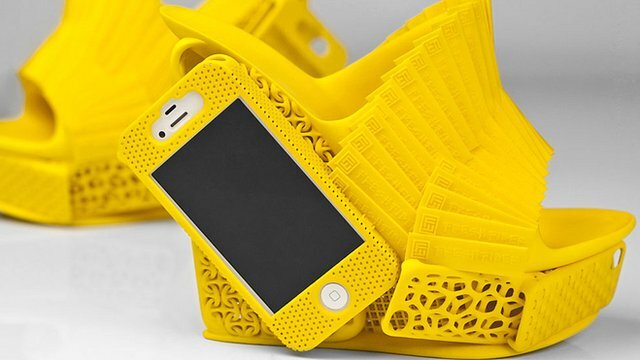 'Why I 3D printed an iPhone shoe' Jump to media player Two leading lights from the 3D printing scene that has developed in Belgium and the Netherlands, discuss the latest trends in the industry. 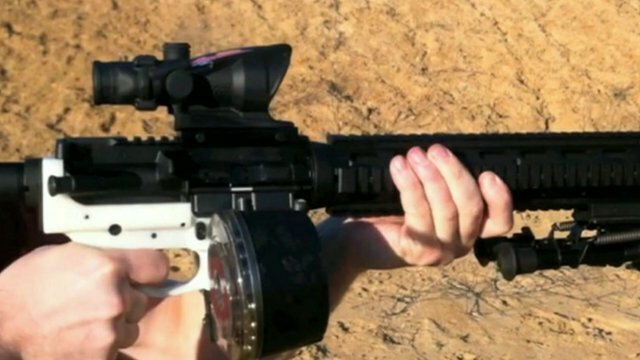 Gun parts made on 3D printer Jump to media player As the gun debate around assault weapons continues in the United States, one company has decided to combat possible legislation by designing a gun that can be made at home. 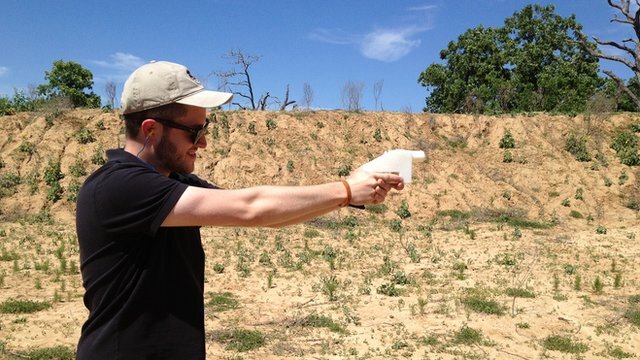 World's first 3D-printed gun fired in US Jump to media player The world's first gun made with 3D printer technology has been successfully fired in the US. First it was music, movies and novels but now everything appears to be at risk of piracy. 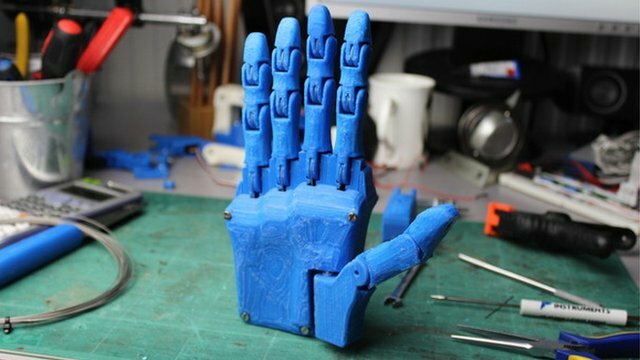 One company, Authentise hopes that by allowing the "streaming" of objects to 3D printers, the theft of design plans can be avoided. 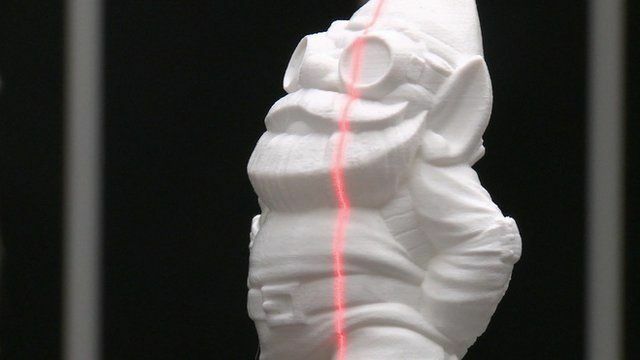 BBC Click's Sumi Das looks at how object design is being protected from piracy, creating an opportunity for developers to realise their dreams rather than a risk of them being taken for free. Is digital piracy possible on any object?